Building an online community around a product or brand is a marketing strategy that’s becoming more and more popular among global pharmaceutical companies. It’s a great way to promote products among current and potential consumers. An online community is a group of active participants who identify with a brand and promote concrete solutions within industry communities. This type of platform is designed to create an appealing space for educating and informing consumers. When building an effective online community, usability testing (a user experience study) if worth considering – it can provide valuable tips and recommendations about the platform’s functionality and the needs of its users. A study like this was requested by one of our regular clients – an international marketing agency working for a global player in the diagnostic imaging market. The project’s aim was to evaluate the prototype of a professional online community geared towards professionals in the field of radiology. The study included a series of qualitative CATIs with radiologists and radiology technicians. During the conversation, the respondent was asked to navigate the platform, commenting on its content, layout, graphics and specific elements. The moderator was able to observe how the respondent navigates the website, and was able to react to technical difficulties or particular issues which the user found interesting. The study involved professionals who had used similar solutions in the past, and who are active online in following technological innovations. Thanks to this choice of respondents, we are able to gather a number of useful recommendations concerning the functioning of the platform. The study gave the client insight into users’ opinions regarding the platform’s prototype, which will make it more effective in attracting and motivating future users. 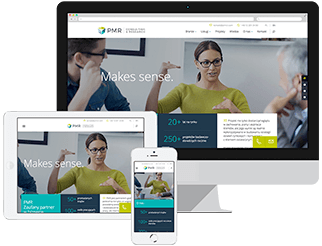 The PMR team also delivered a detailed list of valuable tips and recommendations, which will help improve the website’s functionality and adjust it to the needs of its Polish users. Furthermore, the client received valuable information on the needs of Polish radiology professionals, and on the popularity of similar technological solutions.